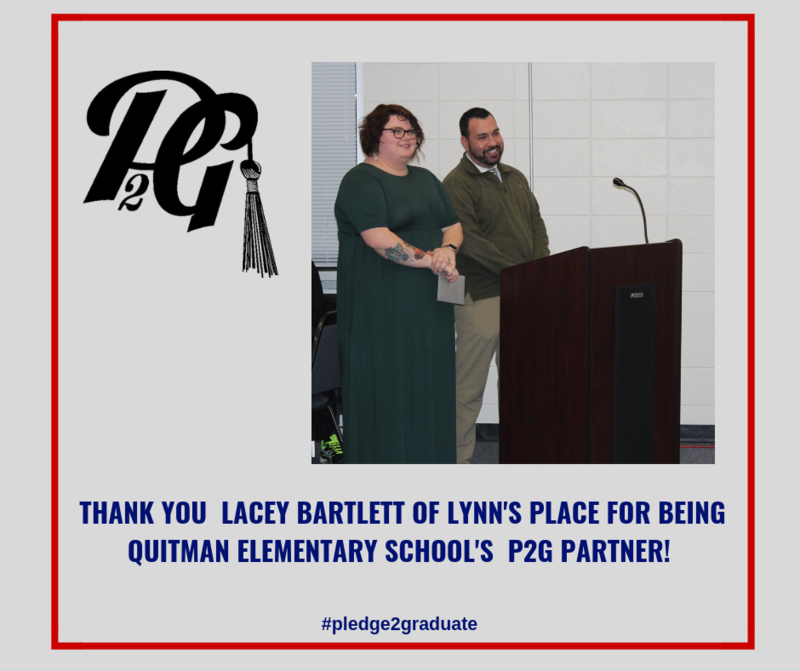 Principal Cisco Diaz recognized Lacey Bartlett and Lynn’s Place as Quitman Elementary School’s Pledge 2 Graduate (P2G) partner. P2G is a collaborative initiative between Brooks County Schools and local businesses to promote graduation. We appreciate Mrs. Bartlett and her partnership to promote graduation! Pictured is Mrs. Bartlett and Mr. Diaz at a recent Board of Education meeting.